Falooda ice cream! Falooda ice cream! As soon as I would hear the Falooda wallah calling out, I would run to buy my share of ice cream topped with falooda sev. Such was the craze for this vermicelli when I was a kid. Falooda sev is topped on ice creams and kulfis to enhance the taste. It can be made using cornstarch/cornflour and arrowroot (ararot). 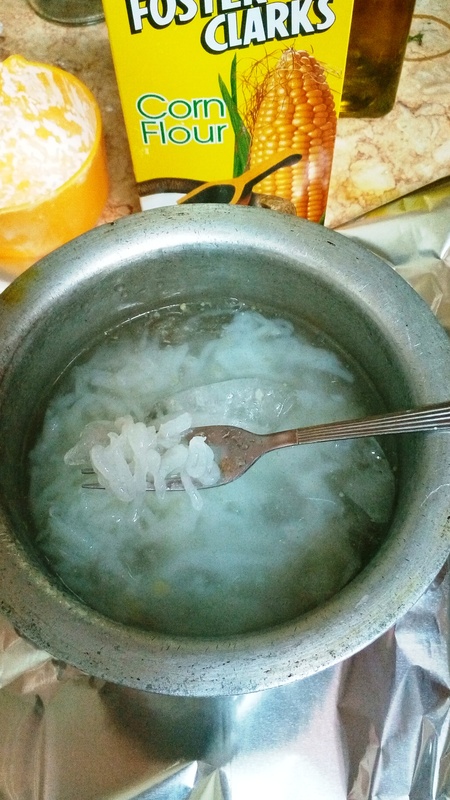 But I’d used cornflour to make falooda sev as it enhances tastes and gives whitish colour when mixed with water whereas arrowroot remains neutral and is tasteless. Since, this is the basic Falooda sev recipe, I didn’t add any artificial and edible colors. So, you will find the falooda to be white in color. Falooda sev is made by cooking on low flame and later it is transferred to sev maker to make falooda. The sev can be stored in the refrigerator for 2-3 days by keeping in cold water. So, if you have time, you can make it in advance and keep it ready to have falooda ice cream any time. Let’s make it with this simple recipe. You will need sev maker to make falooda. First take the sev maker and grease it from inside with ghee or oil. Keep it aside. Take cornflour in a bowl and mix in the normal water. Mix it well, no lumps should be there. Add sugar. Mix again. Now take a deep-bottomed pan or wok. Transfer the cornflour mixture to it. First, bring it to boil on high flame and then simmer it. Now, on low flame, cook it; keep stirring continuously, else the mixture will stick to the bottom of the pan and might form lumps. Within five minutes of cooking the cornflour mixture, it will start thickening. 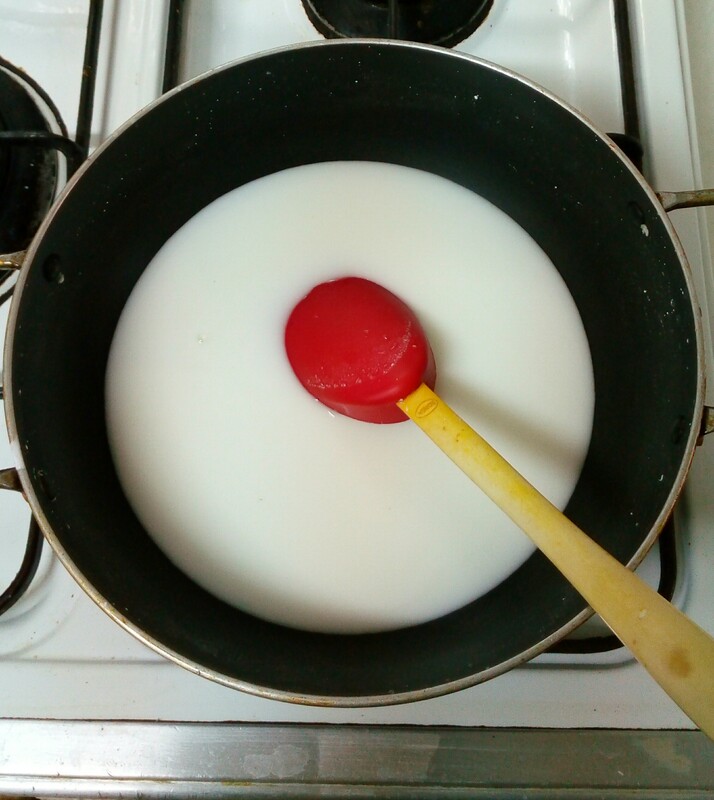 Keep stirring until it becomes translucent as shown in the pic. Your batter for falooda sev is ready. Immediately, transfer the hot batter in the sev maker. On the other hand, take a big bowl or deep dish and add cold water and ice cubes and start making falooda sev with the help of sev maker. Your falooda sev is ready. 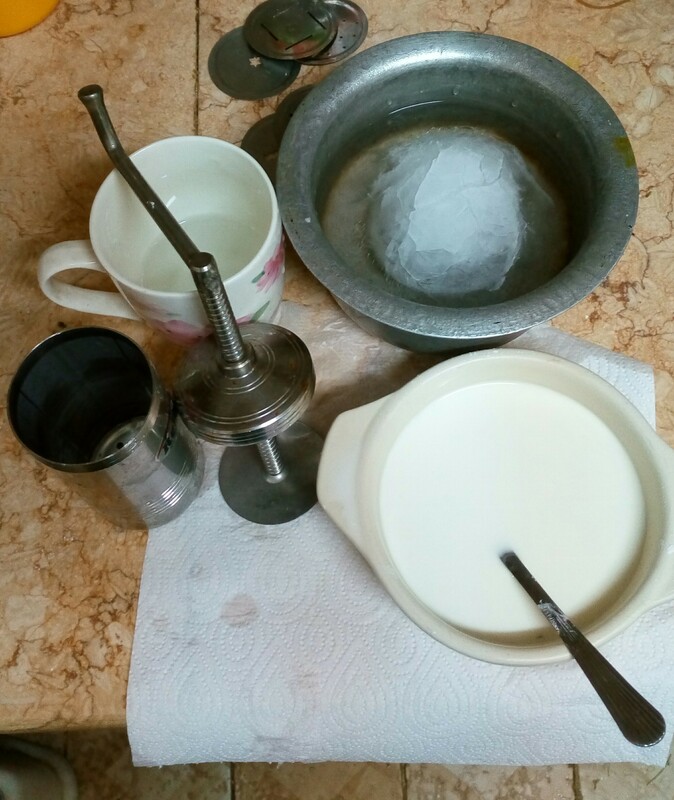 When you want to make ice-cream falooda only then strain the falooda from the water. Otherwise refrigerate it. Make sure while you mix cornflour with water, it should be in watery consistency, otherwise when you’ll make falooda sev it will become like a dough. Whole process should be done on low flame, unless mentioned in the method. If you want to make colourful falooda sev, you can add edible colour of your choice while mixing of cornflour with water. It will then form colourful strands. I never thought of making Falooda Sev at home… What a great recipe! Hey, Thanks Aruna. Hope you will share your experience when you make Falooda at home 🙂 .. Follow us on Facebook and Twitter for more updates.